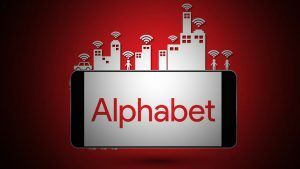 Alphabet Inc. (NASDAQ:GOOG) has beat analysts’ expectations for quarterly revenue and earnings for its latest quarter. The company reported that revenue rose about 21 percent to $26.01 billion in the second quarter ended on June 30. Analysts had expected revenue of $25.65 billion, according to Thomson Reuters I/B/E/S. The company recorded earnings per share of $5.01, beating an average estimate of $4.49. Revenue was boosted by strong demand for advertising on mobile and on YouTube. Google’s ad revenue rose 18.4 percent to $22.67 billion. Paid clicks rose 52 percent, higher than analysts’ expectations of a rise of 35.2 percent and higher than the 44 percent rise reported in the first quarter. Aggregate cost-per-click fell 23 percent year-over-year. Revenue from its Google Other unit, which includes Pixel smartphone, Play Store and cloud business, rose 42.3 percent in the quarter to $3.09 billion. The “Other” category now represents 12 percent of Google’s business, up from about 10 percent the same quarter a year ago. Google revenue, specifically, grew 21 percent to $25.8 billion for the quarter. Google’s digital ads account for around 90 percent of Alphabet’s revenue. The company reported that earnings would have been $8.90 per share if not for the EU antitrust fine announced last month. Google got hit with a record $2.7 billion over anti-competitive behavior for its product listing ads. Shortly after the EU announcement, Alphabet said that the company would report the whole fine as an expense in the second quarter. Google is expected to appeal the ruling. The antitrust case could mean Google has to change the way it runs search, its biggest business. And that is not the only issue facing the company. Aside from the European Commission fine, the US Department of Labor has been investigating the company for possible gender pay inequality. The company is also fighting a legal battle with Uber over a trove of 14,000 documents allegedly stolen by former Google engineer Anthony Levandowski, who joined Uber last year. He was fired from the ride-hailing company in May for failing to cooperate with the investigation. The company changed the method it reports earnings in the first quarter, focusing on Generally Accepted Accounting Principles (GAAP) earnings instead of non-GAAP results. Alphabet also announced Sundar Pichai, who leads Google, became a member of Alphabet’s board, joining veteran venture capitalist John Doerr, former Ford CEO Alan Mulally, and Google cofounders Larry Page and Sergey Brin.